Building links is a primary way to obtain more traffic for your business or brand online. There are countless different strategies one can employ in order to obtain links to their websites all across the web, but there are also different types of links one can build. From the perspective of SEO, there are two main types of links: nofollow links and dofollow links. Each has its own benefits and drawbacks but both can be useful in a broader SEO and marketing strategy. Today, we’ll discuss the main differences of each and what you can expect from using both. The biggest difference between nofollow and dofollow links is in the names. Nofollow links are links that search engines do not “follow” or index, meaning that these pages will not be counted in their algorithms toward your rankings in search. Dofollow links are the opposite: these are the links that Google will follow and then rank your page. When building backlinks, for instance, you’re obviously aiming for dofollow links in most cases. Links from social media and paid marketing campaigns, however, are great examples of nofollow links. Whether you’re pinging links of one type or another, there is still value to both types – as we’ll discuss below. The biggest advantage of dofollow links is that – when pointing to quality content – your search engine optimization strategies can be enhanced by them. These links will be followed by search engines and the pages they link to will be scrutinized on a variety of metrics. When you’re building links via other websites, these dofollow links will not only ensure your pages are visible to search engines, but the association of your website with theirs (if they’re likewise reputable and/or high-quality) will improve your standing in the eyes of search engines. From an organic standpoint, dofollow links are the better type of link to generate. Even though nofollow links do not provide ample SEO juice like their dofollow counterparts, they can be immensely valuable. Some common examples of nofollow links include those generated in SERPs from Google AdWords campaigns and those generated from posts and content on social media. In both cases, these links can provide vital traffic to your site. In the case of social media links, we’re aware that search engines do factor in “social signals” to their broader SEO algorithms, but not in the same way as links specifically. Nevertheless, you can find plenty of value in nofollow links, whether it pertains to traffic or comparable visibility in search results via ad campaigns. Websites should be pinging links of all types whenever possible, whether that be content on their social media profile, paid ad campaigns, or organic search rankings via SEO. Both nofollow and dofollow links have their advantages and disadvantages – it all depends on your short- and long-term goals. 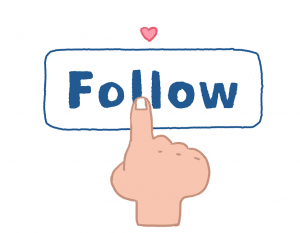 Which type of link do you rely on: dofollow or nofollow? Let us know in the comments below which one is your primary source for traffic.